Thousands for sure. Maybe tens of thousands. There’s no way of knowing exactly how many books about Elvis Presley have been published, but there’s been a ton of them. Surely no other entertainer has been the subject of as many volumes as Elvis, and they’re still coming! It seems like every month three or four new Presley books come out. Even the most voracious of Elvis readers can’t keep up with them all. I’ve read many Elvis books and continue to do so, if only to find new ideas to fuel this weekly blog. An Elvis book has to pass a credibility assessment before I’ll even consider putting it on my reading list. It has to convince me that it contains pertinent, truthful, and interesting information about Elvis, told from a unique point of view. Most end up back on the bookstore shelf, but occasionally I’ll take one home and add it to my Elvis library. The following 10 volumes are my recommendations for a basic “Elvis Library.” Together they cover almost every aspect of Elvis Presley’s life and career from varying perspectives. Of course, probably no other Elvis fan would come up with exactly the same list. After reading the list, if you have other Elvis books that you would have included, I hope you’ll let me know. Any Elvis library should be anchored by a biography, and Guralnick’s two-volume set is still the most comprehensive one available. Some find it tedious and lacking in enthusiasm, but no other existing Elvis biography can match the breadth and detail that Guralnick provides. Jerry Hopkins’ 1971 biography is woefully out of date and Albert Goldman’s 1981 account of Presley’s life is so slanted that it can’t be trusted. 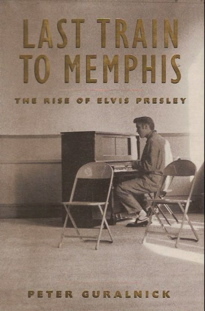 Another advantage of Guralnick’s work is that the author wrote from the perspective of an historian and not as an Elvis fan. Thus his memoir is balanced. The reader sees both the best and the worst of Elvis along the way. Jorgensen has made his life’s work the preservation of Elvis’s music. In this book he chronicles every Presley recording session—studio, live, and informal—over the singer’s lifetime. 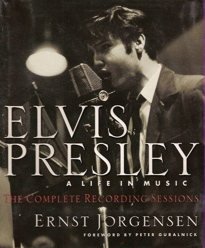 A few other authors have taken on the same task, but none of them have had Jorgensen’s direct access to RCA’s files dealing with Elvis’s recording sessions. Jorgensen is a self-professed Elvis fan, as well, so his writing reveals his enthusiasm with his subject. Any Elvis library should include at least one volume written by a member of Elvis’s personal entourage. There are lots of choices as nearly all of the guys who worked for Elvis over the years have written books. This is easily the best of the bunch. 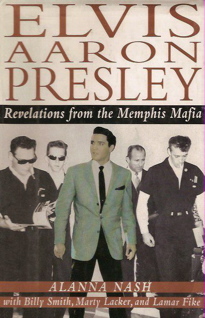 First of all, it gives the perspectives of three different members of the “Memphis Mafia.” Their comments are presented as direct quotes, with ghostwriter Nash keeping her analysis to a minimum. Smith, Lacker, and Fike’s affection for Elvis comes through clearly over the course of the book’s 766 pages, but the trio is also honest about Elvis’s flaws. Their story is filled with humor, sadness, regret, and respect for their boss’s memory. Even those Elvis fans who resist reading about their hero’s dark side will come away feeling uplifted by this book. 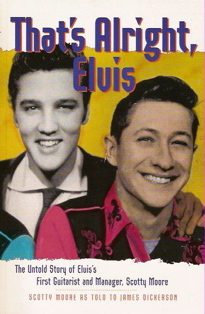 Of those who backed Elvis on stage in the fifties, only Scotty Moore and DJ Fontana have written books. It’s just as well that Bill Black, who retained bitter feelings toward Elvis, never wrote down his memories prior to passing away in 1965. It is a pity, however, than none of the Jordanaires ever recorded their memories of Elvis in book form. Thankfully, Scotty Moore, who was there from the very beginning, provides a unique perspective on the rise of Elvis Presley in his book. Scotty certainly gives Elvis his due but also outlines recurring disappointments in his relationship with Elvis. In his occasional inconsiderate treatment of his backup musicians, the reader begins to understand how Elvis refused to take control of his own career. It was not in Scotty’s makeup, however, to harbor resentment toward Elvis, and that comes across clearly in the title and content of his book. This book, which was first published in 1983 under the titleElvis the Soldier, is clearly the best account of Elvis’s army years. 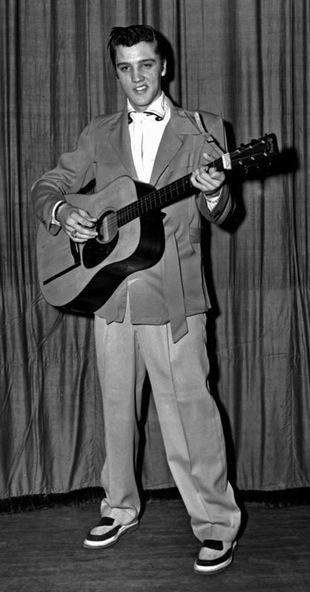 Rex Mansfield was inducted into the army in Memphis on the same day as Elvis and was his constant companion throughout their two-year army stretch. As Elvis’s girlfriend and personal secretary in Germany, Elisabeth Stefaniak also was close to Presley during those years of exile. After returning to Graceland with Elvis after his army discharge, Rex and Elisabeth fled from Elvis’s influence and got married. 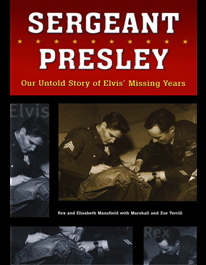 Despite the sudden ending of their relationships with him, Rex and Elisabeth give a fair accounting of Elvis’s life in the army. They give equal time to both the good and bad traits he developed during those crucial years in his life. As the title signifies, this volume provides a straight, chronological accounting of Elvis’s life from the day of his birth in 1935 until the day of his death in 1977. 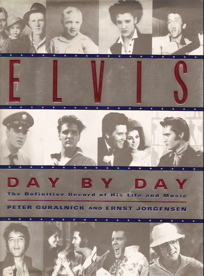 Guralnick, the biographer, provides Presley’s comings and goings, while music historian Jorgensen contributes the recording session and concert information. 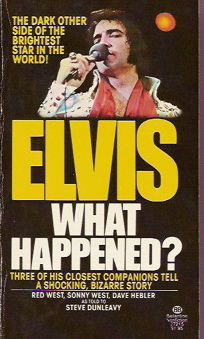 This book could be read cover-to-cover like any other Elvis book, but I have used it mainly as a reference volume. It makes it easy to locate such things as what Elvis did on the Christmas Days of his life, or what he did on his birthdays, and so on. In fact, as an Elvis historian and blogger, I’ve consulted this volume more often than any of the other books on the list. Most Elvis fans occasionally want to recall an isolated or obscure fact about Elvis. That’s when it’s handy to have an Elvis encyclopedia on the shelf. A number of such reference works have been published, but I find this one the most useful. In addition to a 220-section on the people, places, and things in Elvis’s life, the book details every song Elvis recorded, every movie he made, every record he released, every concert he gave, and every TV appearance, along with many other items of interest. The volume has its limitations. As to be expected in a book of this scope, it contains some inaccuracies. For instance, on its list of Elvis’s concerts is a March 15, 1958, performance in Memphis, which never occurred. Such fallacies, however, serve to remind the reader to cross-check information before passing it on as accurate. Also, compiled as it was over 20 years ago, the volume is in need of a thorough updating. Although Return of the King covers the last 10 years of Elvis’s life, its main focus is the revival of Elvis’s career starting with his 1968 NBC-TV “Comeback Special” through to his return to live performances in Las Vegas the following year. The author wisely stays in the background and lets the characters, including musicians, producers, costars, and fans, tell the story of Elvis’s comeback in their own words. In particular, this book’s comprehensive coverage of the ’68 TV special is the best I’ve ever seen. You’ll notice that all the other books on this list date from the 1990s or earlier. 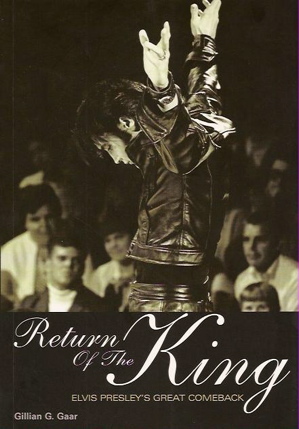 I’d rate Return of the King, published in 2010, as the best Elvis book written in the past 10 years. If you want to go back in time and sit in on the most emotional and confusing time in Elvis Presley’s life, then read this book. And while you’re reading, keep reminding yourself that the book came out at virtually the same time that Elvis died in 1977. Think about how gut-wrenching it was for Elvis fans to first learn about the dark side of his life at the same time they unexpectedly lost him forever. Admittedly, all three of the Elvis bodyguard authors were bitter and biased. They all had been fired just a few months before. Still, subsequent revelations by other members of Presley’s inner circle have confirmed that most of the information in What Happened? is true. 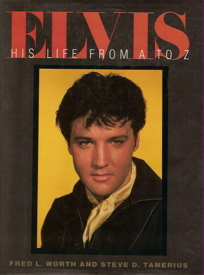 What makes this book an integral part of any Elvis library is its historical importance. It laid bare Elvis’s personal life for the first time and so encouraged others to write similar books. The last volume in your personal Elvis library should be a favorite book. Some titles you might consider include Elvis and Gladys (1985) by Elaine Dundy, Priscilla’s Elvis and Me (1985), and Me and a Guy Named Elvis (2007) by Jerry Schilling. A few others in my Elvis library are Elvis in Texas: The Undiscovered King 1954-1958 (2002) by Stanley Oberst and Lori Torrance (2002), Elvis Vegas ’69: The Story of The King’s Return to the Concert Stage (2009) by Ken Sharp, and Elvis ’57: The Final Fifties Tours (2007) by an author whose modesty prohibits giving his name. "Surely no other entertainer has been the subject of as many volumes as Elvis, and they’re still coming!"